Getting more out of your life and career starts now. When you join Vivint Solar—one of the largest solar companies in the nation—you’ll have an opportunity to be a leader in one of the fastest growing industries. We are looking for self-driven and ambitious leaders who have the desire to create a greener planet, and who want to win at every level of their career. As a full-time Sales Rep, you will be trained on all Vivint Solar products with the opportunity to generate business through interactive presentations to prospective and existing clients. 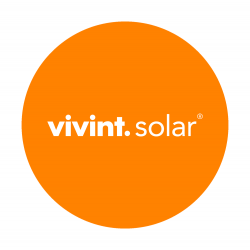 This position is a gateway to several other career opportunities at Vivint Solar, and will amplify your communication skills, negotiation tactics, and strategic planning. You’ll receive monthly opportunities for performance-based non-monetary rewards, such as luxury vacations, high-end electronics, gift cards, and tickets to concerts and sporting events. We are specifically looking for individuals who will eventually oversee national expansion, and help us become the number one solar provider in the country. Are you ready to lead the Renewable Smart Energy Revolution?